New Canadian prime minister Justin Trudeau, however, has signalled a major change in direction. This week he mandated a national carbon trading scheme, that will set a carbon price of $C50/tonne by 2022. “After decades of inaction, after years of missed opportunities, we will finally take real and concrete measures to build a clean economy, create more opportunities for Canadians, and make out world better for our children and grandchildren,” Trudeau told parliament. “Mr Speaker, we will not walk away from science, and we will not deny the unavoidable.” Canada is expected to formally ratify the Paris deal this week. The second impact of the Paris treaty ratification is that Australia will face inevitable pressure to increase its emission reduction targets. 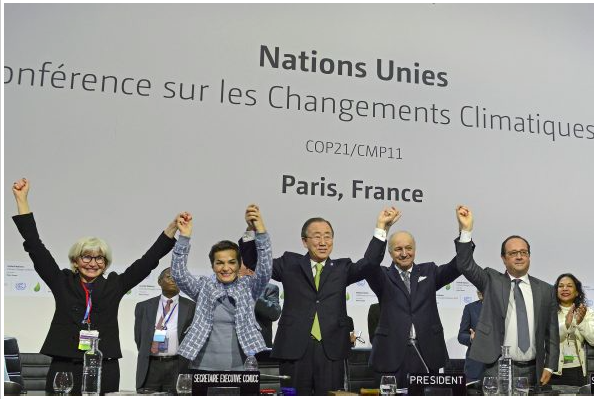 Already criticised by most analysts as inadequate and below Australia’s “fair share”, the unexpectedly quick ratification of the Paris treaty indicates the world is serious about upping its efforts to combat climate change. “A key reason why countries have moved so fast after Paris is that they now recognise the great attractiveness of the growth and development paths for both rich and poor countries that will result from the transition to a low-carbon economy,” he said. This entry was posted in Events local and tagged climate emergency declaration, Pledge ratify COP21. Bookmark the permalink.